What are Microbrew Hops Oils? This product is a pure essential oil obtained through a proprietary "pure steam distillation" process using the fresh (not dried) hop flowers, and is a Hopzoil™ product of Glacier Hops Ranch, in Whitefish, MT. Brewers & Microbrewers use Hopzoil™ profiles to add back the volatile, aromatic oils, which are only found to that extent in fresh hops. Because they are pure oils, they have no bittering properties, and do not contain Alpha nor Beta acids. What value does this add? When substituting Hopzoil™ for dry-hop pellets, filtration and labor losses greatly decrease allowing you to increase yields and profit, averaging gains of 7.5% - 15%. 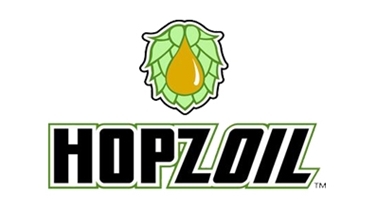 Hopzoil™ also increases shelf-life from 90-120 days when using as little as 2ml/BBL. One liter is ample to dose approxamately 200 BBL's. One liter provides equivalent pure oil to approximately 370-440 lbs of fresh hops. Only requires refrigeration, rather than freezing. Oil retains potency for years. Best practice of shelf-life is 5 years from production. The "4ml at 25% dilution" is 25% Hops Oil (total 1 ml) in an Ethanol dilution. Profile: This highly aromatic ADHA variety is big in citrus and tropical fruit tones. Description: mango, papaya, orange, grapefruit, lemon, while also being spicy, pineapple, grassy, tropical fruit and citrus. This is a possible substitute for Citra. Fresh Cascade has medium intense floral, citrus and grapefruit tones. A workhorse in American Aroma hops. Centennial features an aggressive citrusy hoppiness, combined with some aromatic pine and floral nose. Fresh Chinook has a heavy aroma profile of grapefruit, citrus, spice and pine. With an herbal and almost smoky character, it has a spicy bouquet with a tropical note. CTZ (also referred to as either Columbus, Tomahawk or Zues) is mosty often referred to as a bittering hop. It has a very high fresh oil content. Specific oil Descriptors include black pepper, licorice, curry and subtle citrus. Sharp and herbal, it has a surprisingly pleasant aroma. Light tropical fruits and watermelon, grass, pear and candied fruit. Spice notes are mint and a slight wood. Think of an Estate wine, a bit different every year. An aromatic blend of 35 fresh hop varieties. A limited production blend of approximately 70% Cascade, complimented by 20 other varieties. Saaz-like with cucumber, mint, herb and sage with a touch of lemon.